The owners of this modest renovation had lived in their northern beaches home for a number of years and had raising their 2 children. The site has a checkered past with the traditional 3 frontage home layout compromised by the expansion of it’s arterial road that resulted in the house being turned around. Subsequently, previous multiple additions to re-oreintate the house to the new street front were unsuccessful. This resulted in a tight floor plan with multiple internal rooms that had very little regard for orientation and outlook. 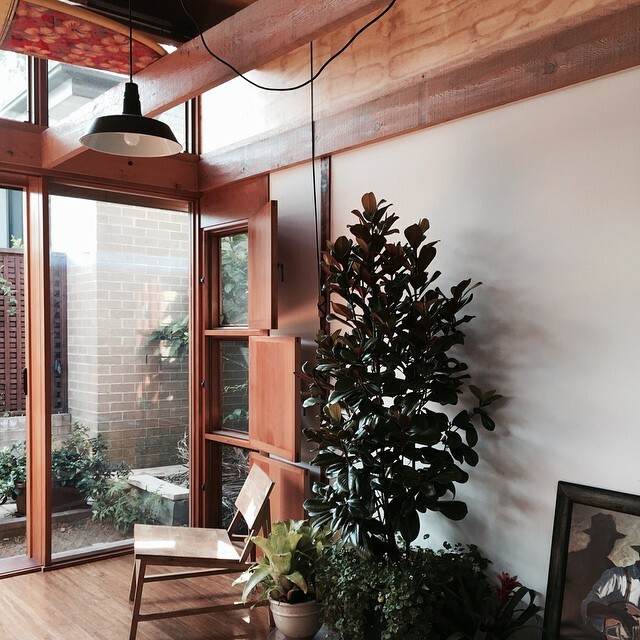 The brief consisted of rationalising the floor plan and to make better use of the positive environmental aspects of Sydney’s temperate climate. 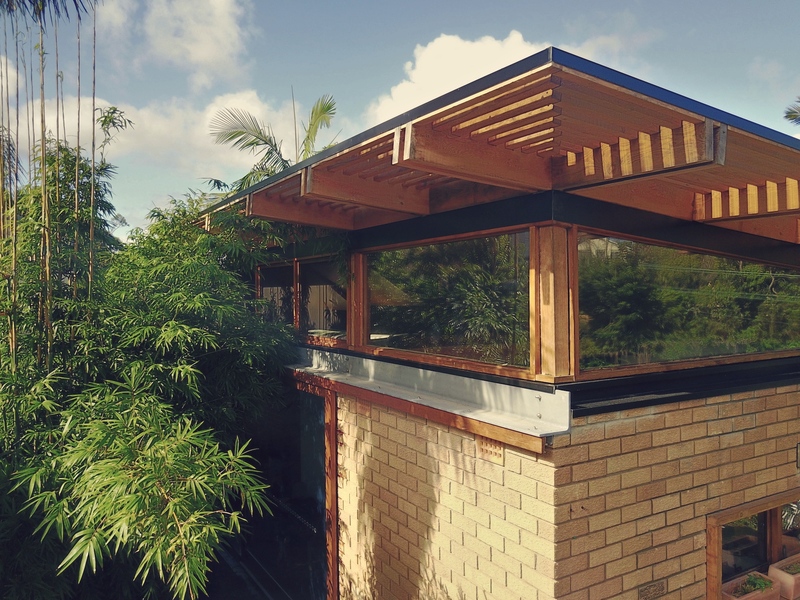 A leaking roof, and low ceiling justified the removal of the northern corner of the house and was replaced with a skillion roof with large eaves and highlight windows. A new Kitchen and Living area were positioned on the northern corner of the house. 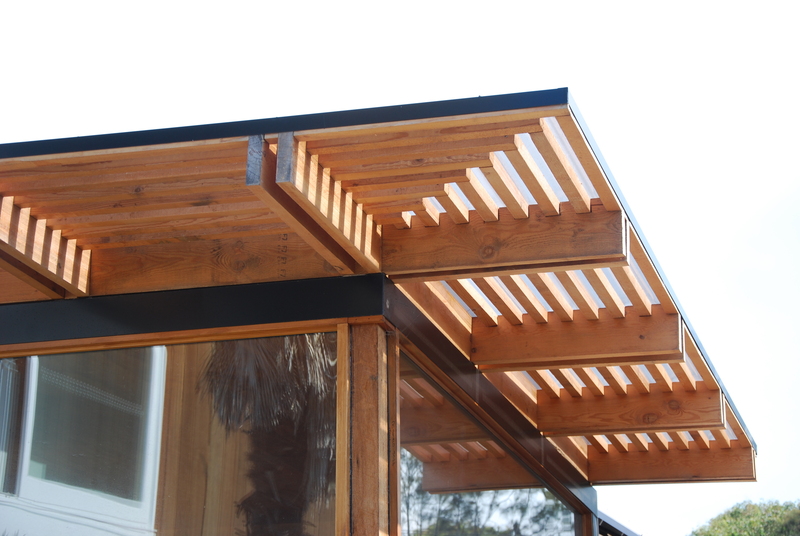 The roof extruded beyond the surrounding exisiting roof to allow natural light and ventilation through operable highlight glazing and solid timber panels. 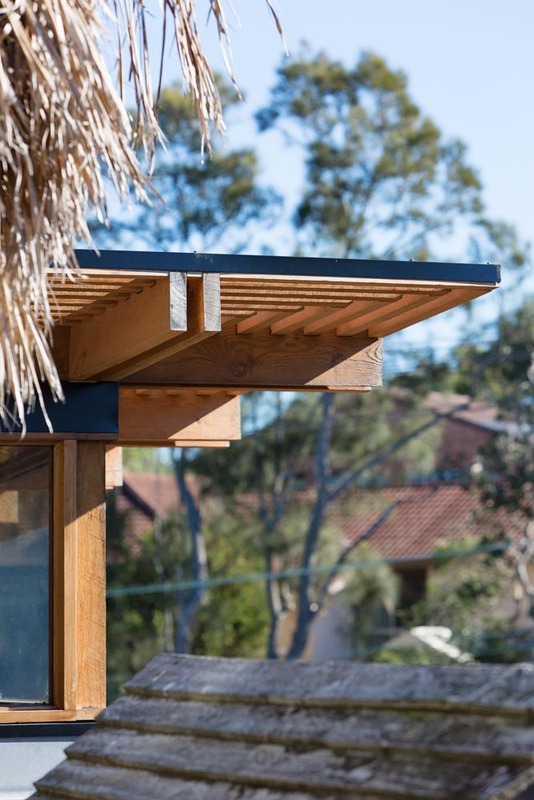 In summer, the high level timber hatches, controlled by a simple pully system remain constantly open, protected from the weather with a generous eave. This allows the hottest air that is typically trapped at the ceiling to naturally vent away. The final layout involved the creation of 2 new outdoor areas that actually resulted in a reduced footprint from their original home. This allowed further glazing and operability into the external wall of the home. It is a credit to the owners and a rare blessing for a brief to prioritise quality and performance over square meters. Modest material selections focussing on timber detailing and recycled bricks were integrated throughout to compliment the existing structure. 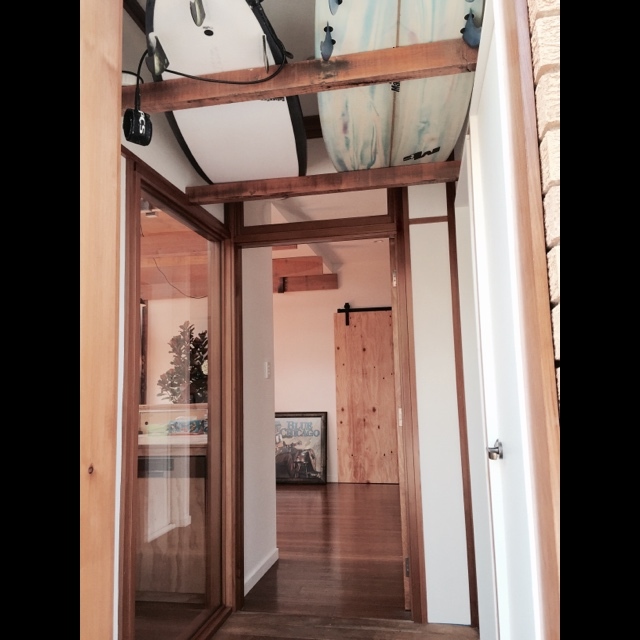 The builder was able to recycle the oregon timber studs from the original walls and utilise them in timber detailing to the interior. 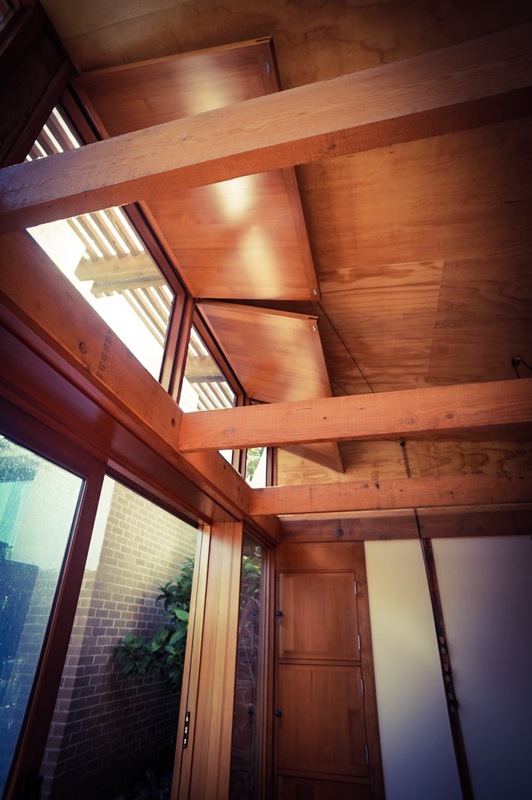 Bamboo floors, plywood ceiling and exposed orogen framing in the eaves all helped to maximise carbon banking that comes with the use of timber.